Emerald is among the least enhanceable. It cannot be laser treated, heat treated, irradiated, or diffusion treated. Its only method of improvement is oiling , in modern times, a polymer resin impregnated into the body of the Emerald through surface fissures. Emerald is the brittlest stone among all gems. The amount of enhancement in emeralds is very minute as it is limited to avenues of entrance such as micro fissures on the surface of the stone, which sometimes appear during the process of cutting and polishing the Emerald. The polymer, or oil, has the same or close refractive index as the Emerald, allowing light to pass through thus making the micro fissures largely invisible to the naked eye. Emeralds Oiling Treatment: Emeralds are typically found with natural internal fissures which are known as "gardens". Long ago it was discovered that the simple application of oils would greatly reduce the visibility of these inclusions, thereby noticeably enhancing the emerald is appearance. This practice has become traditional and is accepted throughout the precious gem trade. 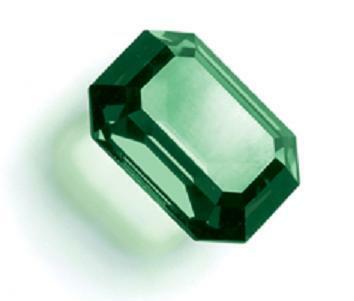 Emeralds are also known to be not quite as durable as diamond, ruby and sapphire. This fact combined with the common practice of oiling requires the owner to take a little extra care of their wonderful green gems. It is also common to oil emeralds to enhance their appearance, usually done as a post-lapidary process in the country of origin. This is acceptable in the gem industry as long as no coloring agents are used. Inclusions: All emeralds are enhanced with the accepted industry treatment methods of oiling. Unlike diamond, which is the crystallization of a single element, carbon, the makeup of Emerald involves many elements coming together. These inclusions are known as the "Jardin" or "Garden", and are visible somewhere within the Emerald, most often to the naked eye. Again, unlike diamonds, the words "inclusion" and "flaw" are not interchangeable when referring to emeralds. The inclusions are to be expected in all natural emeralds and should be regarded as a signature of genuineness, the handwriting of nature. As long as the inclusions do not detract from the color or the brilliance, they are desirable. Beware of any "emerald" that does not have them. A flaw, on the other hand, is a definite crack or cleavage, different from inclusions. 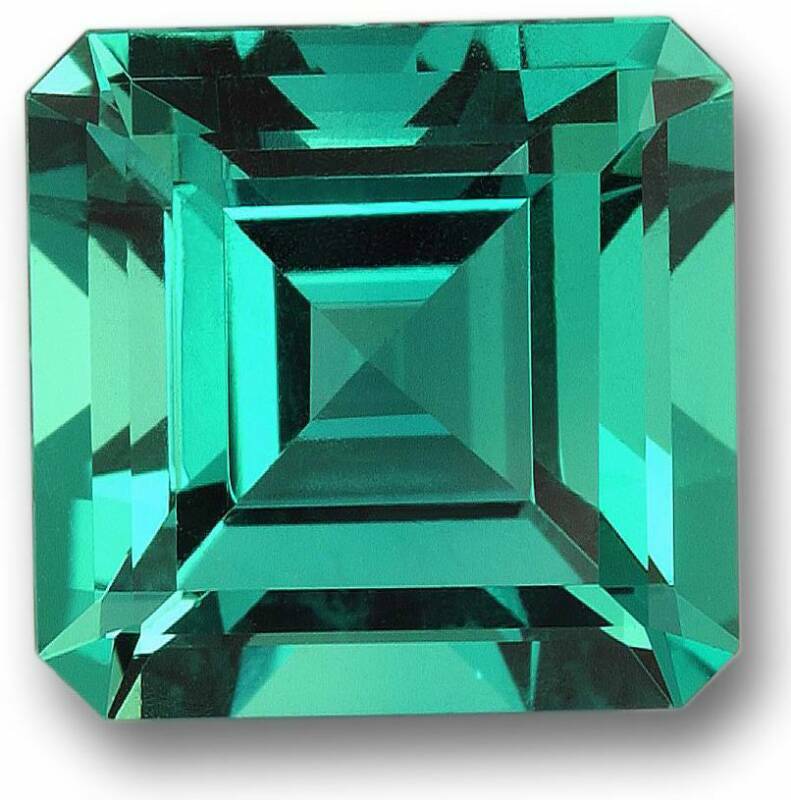 Very different from flaws, inclusions are not weaknesses in an Emerald, and are part of their character and color. Enjoy the organic feel of the Emerald, cool and beautiful like the high mountain tropical rainforests where they originate. Colombia Emerald Hub Emeralds have been found in several other locations around the world including Brazil, Russia, USA, Zambia, Madagascar, Pakistan, Australia and India. Colombia however, namesake of Christopher Colombus, has been the primary source of fine quality emeralds for the new world for several centuries now. Emeralds, particularly Colombian emeralds, have three phase inclusions, that is to say, liquids, solids, and gases within its structure. Most emeralds go through the enhancement procedure and those that are not treated will command higher prices. Colombian mine source names like Muzo and Chivor have become trademarks in the international emerald business. Nowhere else on earth has produced such wonderful intense green with such exceptional clarity and size. Gem lovers around the world consider the emerald an essential part of any gem collection. If you are looking to add this magnificent green gem to your collection then Colombian emeralds are the best place to start your search. do you do the emerald treatment? if so whats the price range?